New summer offers are here! Book a new package with Jess@pixievacations.com and you will get a $25-$100 gift card as my gift to you! Here are the details on this INCREDIBLE Summer offer. 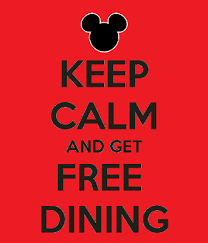 Youcan get a FREE dining plan for their kids (ages 3 to 9) when they buy a non-discounted 3-night, 3-day Magic Your Way package for you and the kid(s) that includes a room at a select Disney Resort hotel, theme park tickets and a dining plan. For arrivals most nights from May 28 through August 30, 2018 when they book through August 1, 2018. Are your Clients planning a longer stay? Check availability for packages that can accommodate other lengths of stay and party sizes. This offer is available to book as the “Incredibly Delicious Kid-Size Offer” through the “Quote or Book” module on DisneyTravelAgents.com, or by calling the Disney Reservation Center.